AJ Perez' wake is now being held at the Christ The King Parish in Greenmeadows Village, Libis, Quezon City. 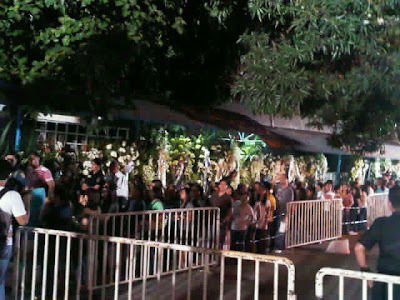 AJ's body was transferred there at noon today, 2 days after his wake was held at La Salle Green Hills Chapel. As of this writing, a public viewing of AJ's remains is happening there, which started at 9PM and will end at 12 midnight. Spotted at AJ's first night at Christ The King Greenmeadows were Roxanne Guinoo, Ali Sotto, Elmo Magalona, Andi Eigenmann, Lauren Young, Carla Humphries, Guji Lorenzana and more. Child star Bugoy Carino, who's AJ's co-star in his upcoming MMK episode, also went to the wake tonight. that for tomorrow, April 20, the public viewing schedule will be at 4PM to 7PM and 9PM to 12MN. The burial will be on Tuesday, April 26, 10AM at the Manila Memorial Park in Paranaque City. 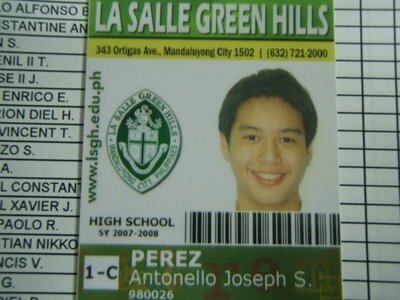 By the way, I'd like to share to you some more photos of AJ Perez, just in case you haven't seen them yet. while this one was AJ's photo with fellow Star Magic talent Cheska Ortega. This photo has 1 thing we will miss in AJ the most: his red, kissable lips.